I made three of them but only used two for my card. So I used the third one for another card. This is a CAS design. 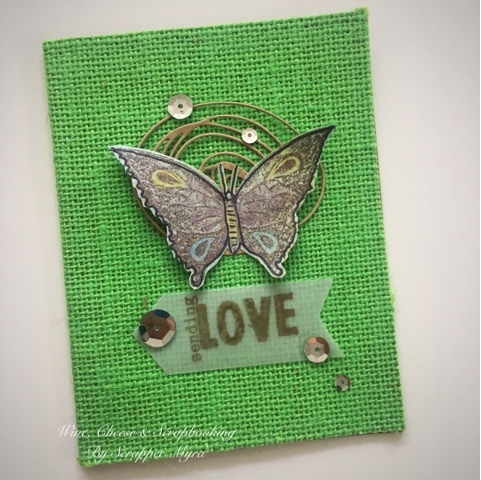 I used colored burlap as base for the card. 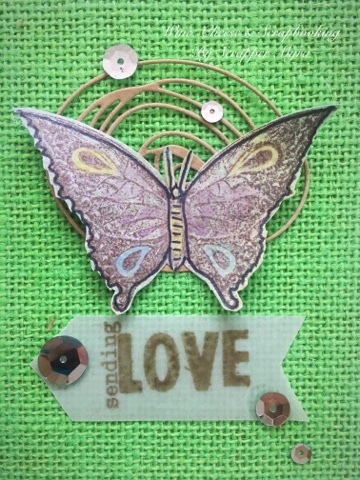 Then added a die cut shape where I positioned the butterfly. I used dimensional adhesives for the wings so she can stand out. 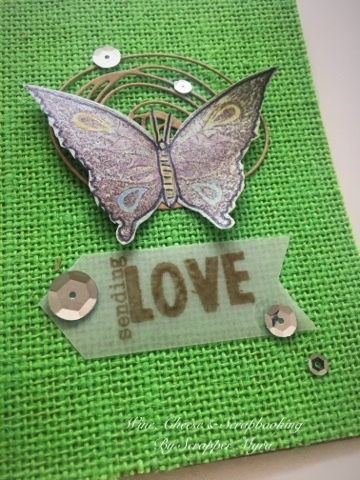 Also stamped the sentiment in vellum and added below. Details with sequins provide a great touch. I will share this with Unity Show and Tell Facebook group. Crossing my fingers to win the stamps. LOL!! !